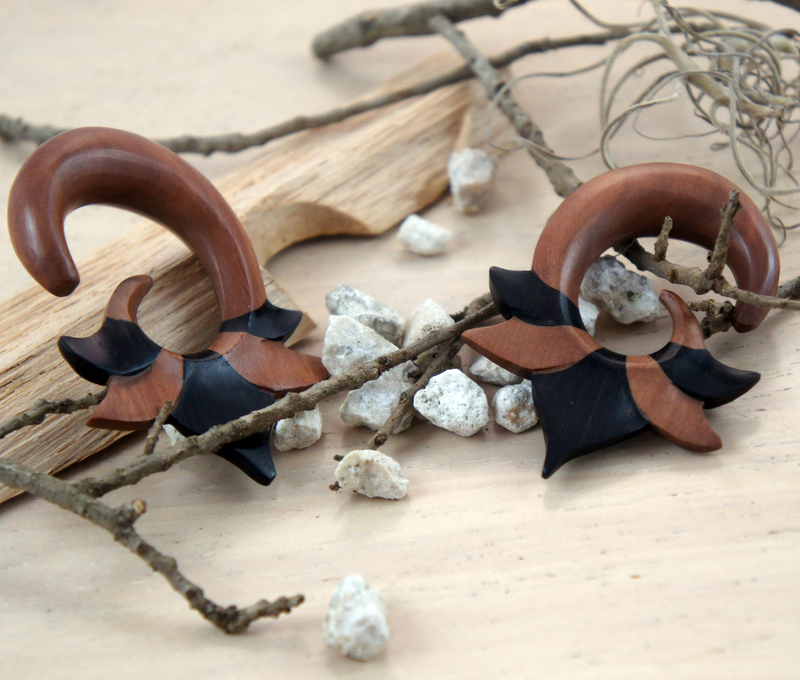 These two toned gauged earring hangers are carved to embody a Lotus Flower, each petal alternates between Sono and Ebony Wood. 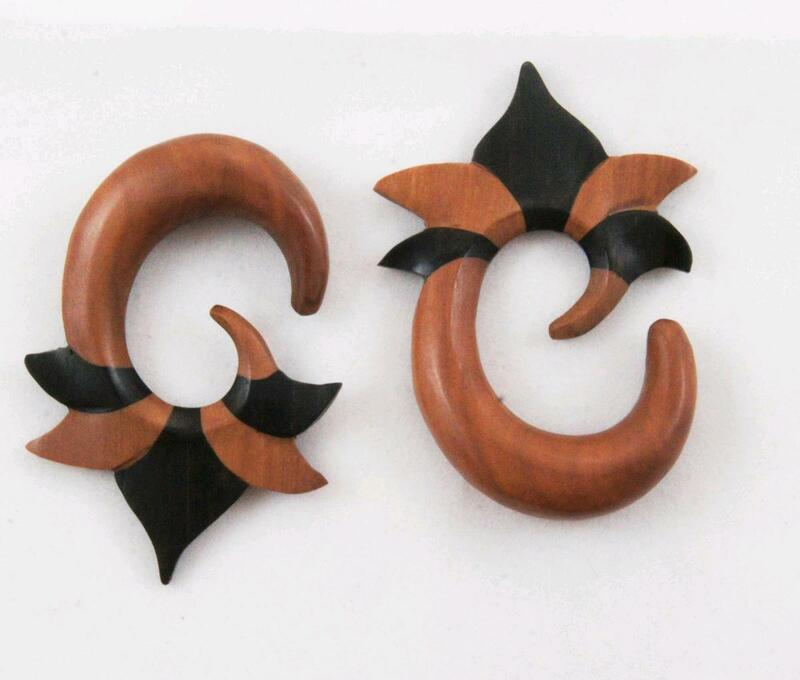 The ear hanger / hook portion of the gauges is carved from Sono Wood, and then each petal of the ear gauges alternates between the lighter colored Sono Wood and the darker toned Ebony Wood. 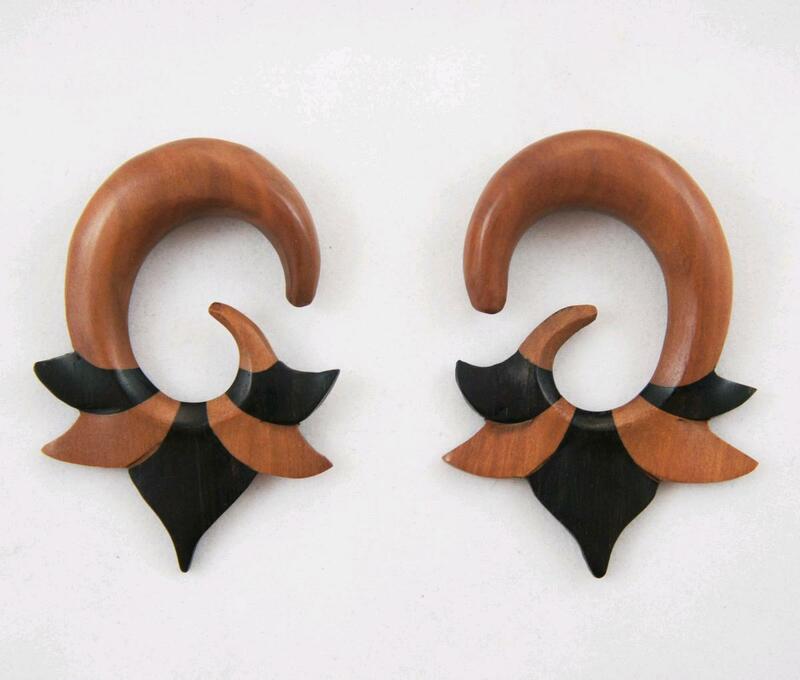 The base of the earrings makes up the sepal portion of the flower and is brought out to a point. As always we give the utmost care in taking advantage of the natural wood grains to really bring out the natural beauty of the piece as a whole. The piece takes advantage of the separate wood grains and wraps the edges of the blades together for a really awesome look. We try to carry most of the common gauged earring sizes, but if you don't see your gauge size listed please feel free to contact us or check back later since we're constantly restocking or adding new sizes and styles to our line.